Febrile Neutropenia represents a medical emergency and the use of appropriate antimicrobial therapy is essential for a better outcome. Although being time-consuming, conventional cultures and antimicrobial susceptibility tests remain the golden standard practices for microbiology identification. Final reports are typically available within several days. Faster diagnostic tools, such as species identification trough Matrix Assisted Laser Desorption Ionization-Time of Flight (MALDI-TOF) and molecular techniques might help to shorten time to diagnostic and also guide definitive therapy in this scenario. Here we present a case in which the use of a diagnostic molecular workflow combining MALDI-TOF and real-time PCR for relevant genes codifying antibiotic resistant integrated with instant communication report, led to a tailored and more appropriate treatment in a patient presenting with febrile neutropenia. Herein we present a case of colistin-resistant CRKP bacteremia, identified by faster diagnostic methods and successfully treated with ceftazidime-avibactam. A 48-yo male patient was admitted to the Hematology ward on February 12th. He had been previously diagnosed with acute lymphoblastic leukemia, having undergone chemotherapy according to the German Multicenter Acute Lymphoblastic Leukemia (GMALL) protocol. It was interrupted after 35 days due to toxicity and relapsing disease. During his initial treatment, the patient developed several episodes of infection, including – in chronological order – a MRSA bacteremia associated with thrombophlebitis, a proven localized fusariosis skin/soft tissue infection treated with systemic antifungal (amphotericin and voriconazole), and three episodes of CRKP bacteremia. All CRKP bacteremia episodes occurred during neutropenia and were treated with broad-spectrum antibiotics, combining polymyxin and amikacin – drugs shown to have in vitro activity against the isolates – with meropenem. After the confirmation of relapsing disease, the patient was switched to another leukemia treatment and started a protocol proposed by the Group for Research on Adult Acute Lymphoblastic Leukemia (GRAALL). On June 1st, three days after initiating the protocol, the patient presented with febrile neutropenia; blood samples were taken at that time for culture and diagnostic work-up. Based on his previous infections, a broad regimen was started including meropenem, polymyxin B and amikacin. His central venous catheter was removed, as it was thought to be the primary source of infection. Bacterial growth was detected nine hours after incubation. A Gram staining of the positive bottle revealed Gram-negative bacilli. Routine species identification and susceptibility testing were performed in clinical laboratories by the BD Phoenix instrument (Becton Dickinson, Microbiology Systems, Cockeysville, MD, USA) and manual biochemical tests. According to an ongoing study approved by the local ethical committee, an additional sample of a positive culture bottle was delivered to the Special Laboratory of Clinical Microbiology for further study. The protocol was developed to evaluate the performance of faster species identification by MALDI-TOF mass spectrometry using clinical samples combined with a multiplex real-time Polymerase Chain Reaction (RT-PCR) for genes correlated with antimicrobial resistance. The gene panel included epidemiological relevant genes at the institution. Samples identification was achieved by MALDI-TOF on the VITEK-MS system (bioMerieux, Marcy-L'Etoile, France). Positive bottles, between 8am and 17 pm from Monday to Friday, were assigned to MALDI-TOF. After 20 h of antibiotics, the patient was still experiencing fever and developed clinical deterioration. Species identification and susceptibility tests by the clinical laboratory had not been carried out by that time. Twenty-four hours after the febrile neutropenia, the LEMC delivered the results of the study protocol to the ID team: K. pneumoniae was the identified isolate, harboring the genes blaKPC, blaTEM and rmtB. Considering the vast previous use of antibiotics, local epidemiology, the identification of a GNB on the positive culture bottle and the clinical scenario, the patient was started on ceftazidime-avibactam and high-dose tigecycline, with the interruption of amikacin and meropenem. Later, the clinical laboratory confirmed isolation of K. pneumoniae, resistant to amikacin, meropenem and polymyxin B, leading to discontinuation of polymyxin B; additional data revealed susceptibility only to tigecycline and ceftazidime-avibactam. Complete microbiology data, including species identification and susceptibility tests, were available to the ID team almost 80 h after the fever had started. Subsequent blood cultures collected three and five days after antimicrobial therapy were negative. The patient was kept on ceftazidime–avibactam and tigecycline for 14 days, when ceftazidime–avibactam was discontinued. Tigecycline was administered for additional 10 days until full neutrophil recovery and hematological work-up showing remission of leukemia. Although the patient was kept on his chemotherapy treatment according to the GRAALL protocol, with a new episode of febrile neutropenia, he did not show evidence of recurrent CRKP bacteremia. He later went through an allogeneic hematopoietic transplantation as a definitive therapy for leukemia. Despite a long period of neutropenia and immunosuppression, no CRKP bacteremia relapse was detected. Instant communication provided by platforms such as WhatsApp™ could be integrated into patient care delivery, providing an efficient real-time report of critical results. Somehow, its use is already going on. Although it is an official channel at our institution for some administrative issues, WhatsAppTM is still not a formal tool integrated into patient care-delivery or doctors’ communication. 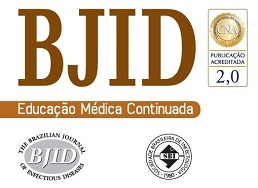 Nevertheless, it is widely adopted by doctors in Brazil18 also and allowed by the Brazilian Federal Council of Medicine,10 including the formation of medical groups, aiming to conduct discussions of clinical cases that require intervention of various medical specialties. This case highlights the potential benefits and the viability of the use of faster diagnostic methods integrated with instant communication provided by already available digital tools to guide treatment and optimizing care delivery. It could be a valid approach on a very challenging scenario, such as febrile neutropenia in the context of extremely resistant pathogens. We would like to thank Prof. Ana Cristina Gales and Prof. Fábio Rodrigues Kerbauy from the Federal University of Sao Paulo for their indispensable contribution to this case. We also would like to thank Vanessa Ikemori and Vlatko Broz for reviewing the English version of this manuscript. H Yigit, AM Queenan, GJ Anderson, et al. Novel carbapenem-hydrolyzing beta-lactamase, KPC-1, from a carbapenem-resistant strain of Klebsiella pneumoniae. LS Munoz-Price, L Poirel, RA Bonomo, et al. Clinical epidemiology of the global expansion of Klebsiella pneumoniae carbapenemases. MP Freire, LC Pierrotti, HH Filho, et al. Infection with Klebsiella pneumoniae carbapenemase (KPC)-producing Klebsiella pneumoniae in cancer patients. D van Duin, Y. Doi. Outbreak of colistin-resistant, carbapenemase-producing klebsiella pneumoniae: are we at the end of the road?. M Quiles, B Boettger, ACC. Pignatari. Update in bloodstream infection diagnosis using new methods in microbiology. Antimicrobial resistance in Gram-negative rods causing bacteremia in hematopoietic stem cell transplant patients: intercontinental prospective study of Infectious Diseases Working Party of the European Bone Marrow Transplantation group. HS Sader, M Castanheira, RK. Flamm. Antimicrobial activity of ceftazidime-avibactam against Gram-negative bacteria isolated from patients hospitalized with pneumonia in U.S. medical centers, 2011 to 2015. F Carlesse, P Cappellano, MG Quiles, LC Menezes, AS Petrilli, AC. Pignatari. Clinical relevance of molecular identification of microorganisms and detection of antimicrobial resistance genes in bloodstream infections of paediatric cancer patients. Conselho Federal de Medicina, Brasil. Parecer CFM nº14/2017: Uso do WhatsApp em ambiente hospitalar. A Egli, M Osthoff, D Goldenberger, et al. Matrix-assisted laser desorption/ionization time-of-flight mass spectrometry (MALDI-TOF) directly from positive blood culture flasks allows rapid identification of bloodstream infections in immunosuppressed hosts. MP Romero-Gómez, E Cendejas-Bueno, J García Rodriguez, J. Mingorance. Impact of rapid diagnosis of Staphylococcus aureus bacteremia from positive blood cultures on patient management. AL Vlek, MJ Bonten, CH. Boel. Direct matrix-assisted laser desorption ionization timeof-flight mass spectrometry improves appropriateness of antibiotic treatment of bacteremia. M Beganovic, M Costello, SM. Wieczorkiewicz. Effect of matrix assisted laser desorption ionization–time of flight mass spectrometry (MALDI-TOF MS) alone versus MALDI-TOF MS combined with real-time antimicrobial stewardship interventions on time to optimal antimicrobial therapy in patients with positive blood cultures. Connecting One Billion Users Every Day. V Giordano, H Koch, A Godoy-Santos, W Dias Belangero, R Esteves Santos Pires, P. Labronici. WhatsApp messenger as an adjunctive tool for telemedicine: an overview. MJ Johnston, D King, S Arora, et al. Smartphones let surgeons know WhatsApp: an analysis of communication in emergency surgical teams. RV Tuckson, M Edmunds, ML. Hodgkins.